As many of you know, we have had our coach since June. There were some issues with it that we got fixed during the delivery stay at Lazydays and there are a couple of minor issues that we need to have taken care of when we get around to making our first service appointment. Unfortunately, during our last trip to St. Augustine, a new issue popped up. Whenever we go over a rough road where the coach bounces up and down, there is an ugly noise coming from behind the driver’s seat, we think it’s the slide. Our next trip is scheduled for the first week of November and we figured we’d get Irving in for service before then. So we call Lazydays and the first appointment we can get is at the end of October. If this isn’t bad enough, the person Amber talked to said that if parts are needed, it could take weeks to get them.It was at that point Amber brought up a great point. We were given a year parts and labor warranty, but if we can’t get a service appointment for a month and it takes weeks to get parts, we really don’t have a one year warranty. 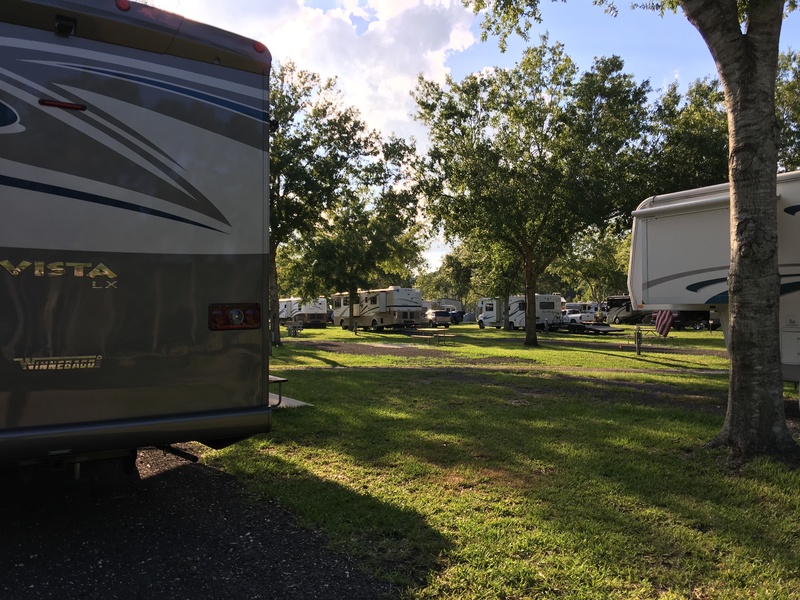 Part of me understands that Lazydays is the largest RV dealership in the world, so they must have a massive amount of customers to service. However, they also have a ton of service bays, so they should be able to service a large amount of customers at time. Another part of me believes that Lazydays cares more about selling RVs to people that giving them amazing service and that makes me angry. 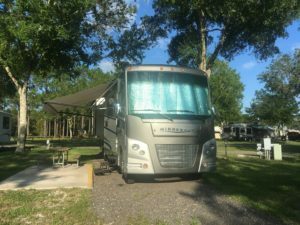 So we made our service appointment, but Amber wanted to call Winnebago to see if there are any other options available, mainly a mobile RV service provider. She described the issue with our slide, which is our biggest concern at the moment. The person she talked to mentioned that the problem she described was something they hear about a lot and directed us to YouTube to find some videos on lubricating our slide gibs. She also asked whether the long wait for service appointments and parts were common. He said it is. Even the Winnebago representative said that the first appointment at their factory wasn’t until the end of November. How exactly are all the things I have mentioned in this post acceptable to the RV manufacturers? 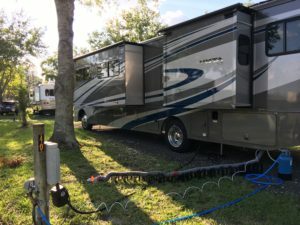 I read on forums all the time that people do their own maintenance because they don’t want to lose the use of their RVs for long periods of time. This is really the issue here. How is a one year warranty a one year warranty when you may potentially lose the use of your coach for a percentage of that year for a potential manufacture defect? I am actually thinking about seeking a legal opinion on this matter, but I am not optimistic. 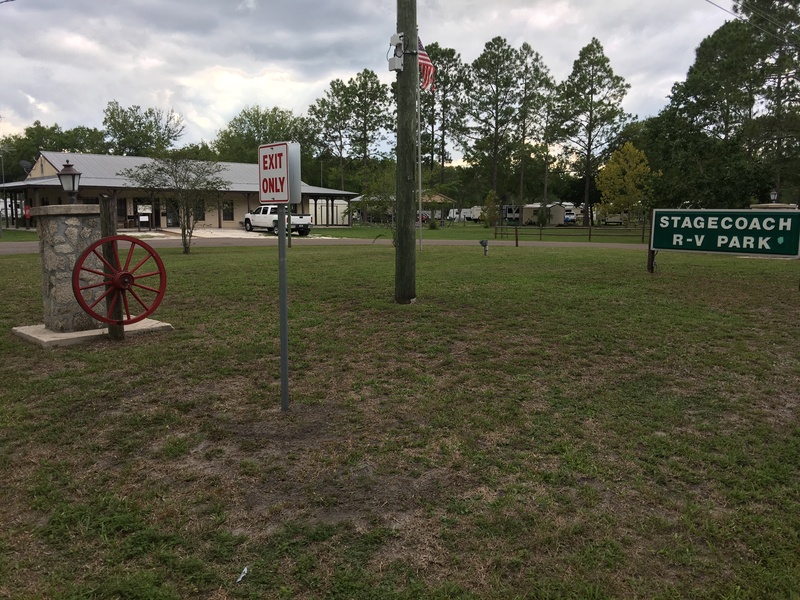 On out latest trip to St. Augustine, Florida, we ran into an issue after arriving at the campground. Two of the non-GFCI, 120v power outlets (master bathroom and kitchen counter) we not working and we could not figure out why. We checked breakers and fuses, nothing. Amber noticed that the light on the GFCI outlet just inside the coach door was not on. She reset that outlet and then the other two started working again! I guess the three outlets were wired as one circuit…? I know next to nothing about electrical, so don’t take my word for it. MORAL: Check all outlets when one isn’t working.